Email a friendly appointment reminder in advance of each upcoming appointment. At setup, you determine when and how clients should be contacted, and we do the rest – it’s that easy. Half of all email is now opened on a mobile phone – make sure yours look good on a small screen. 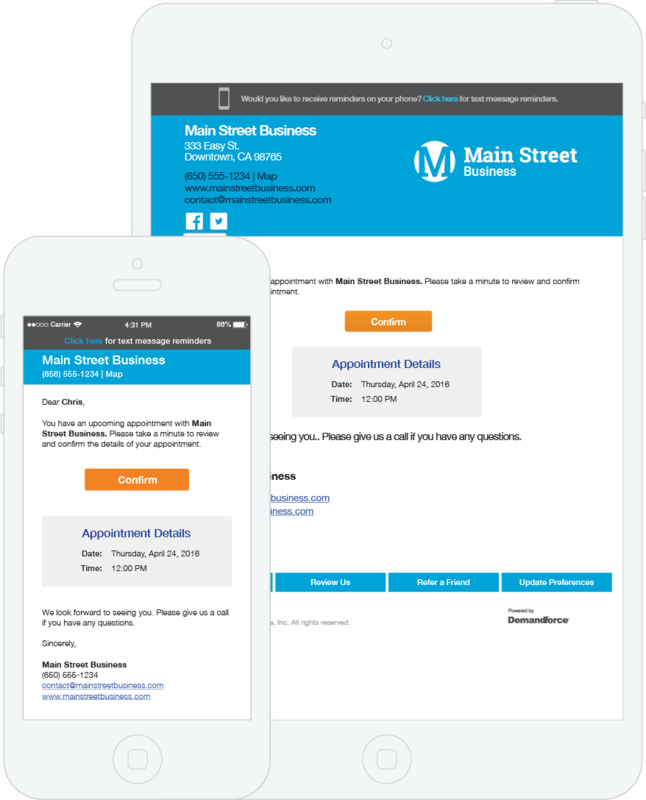 Our appointment reminder template is easy to read no matter what device your clients use. Email reminders work with Passbook and Google Now so appointment information appears automatically in these smartphone apps to help ensure your clients get there on time. Automatically send a day-of text message so your client doesn't forget about you. According to SinglePoint, 99% of text messages are read so you can be sure the appointment reminder is seen. 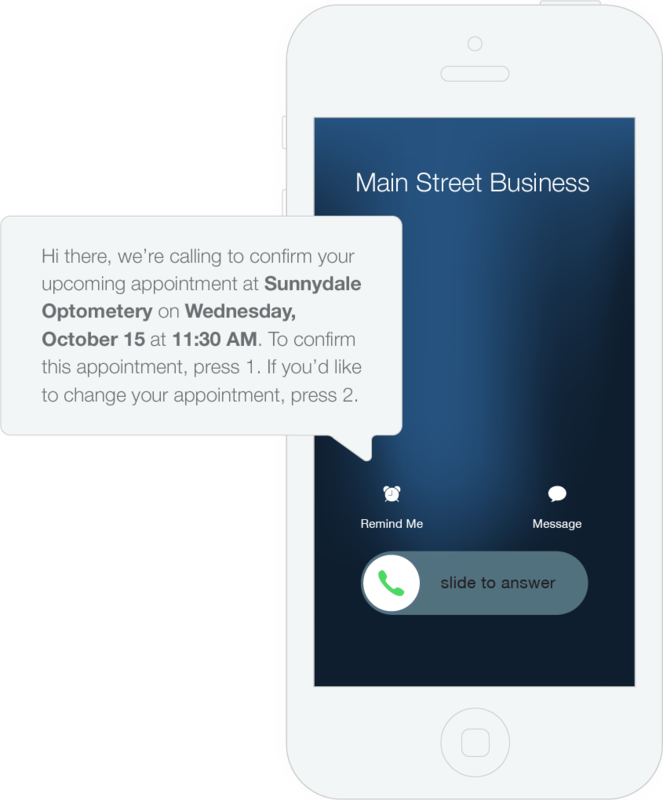 Two-way text messaging lets clients reply “C” to confirm appointment. So you can have total confidence that they’re coming. 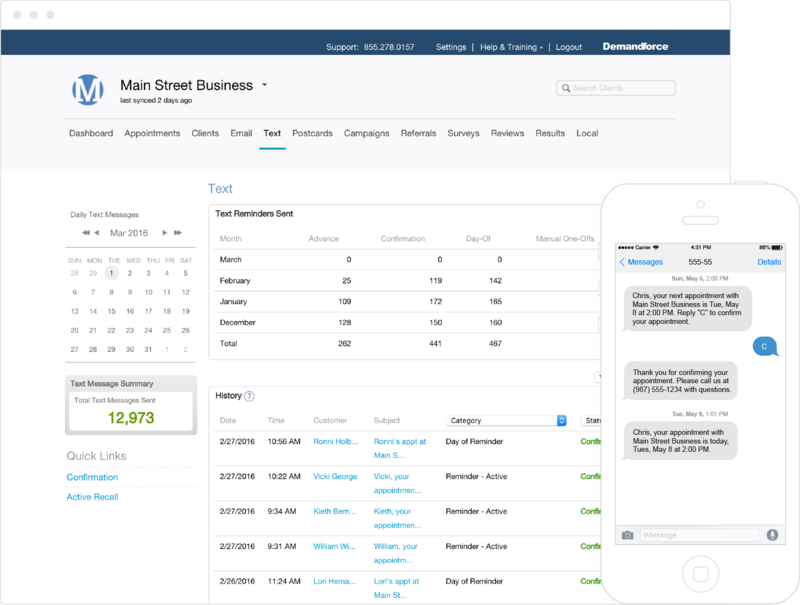 Easily text back and forth with your clients. Get notifications and respond directly in your Demandforce Dashboard, saving you valuable time and streamlining the conversation to one medium. Don’t have a client’s email address or cell phone number? No problem. Now you can reach 100% of your client base with automated phone calls. 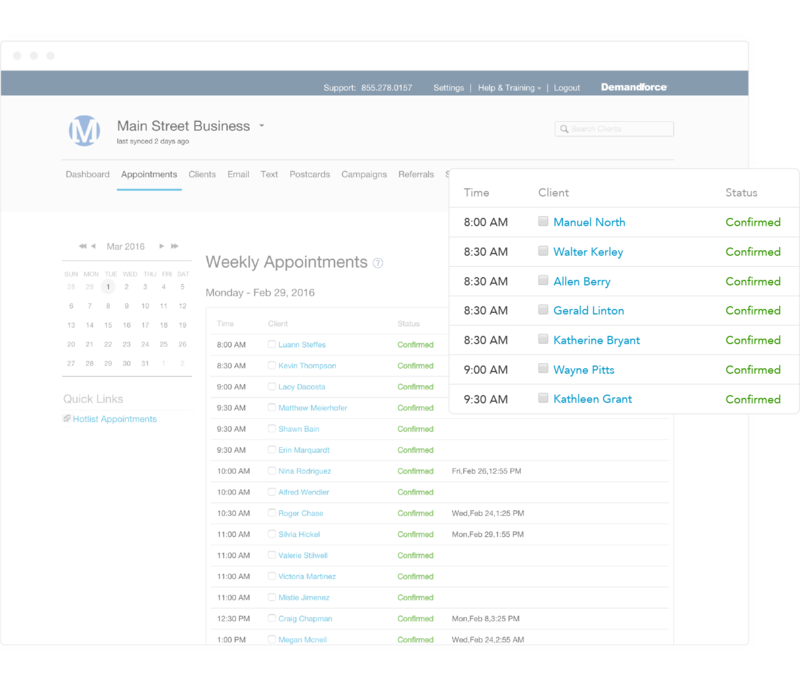 Appointment reminder software that integrates seamlessly with your existing management system. Demandforce connects to whatever appointment scheduling software you already use and sends reminders out like clockwork. The appointment reminder system constantly checks for changes — as often as every five minutes — so it’s always up to date. And it’s not just a one-way street. With two-way sync, when a client confirms in Demandforce, that appointment confirmation is written back to select management systems so you can see everything in one place.